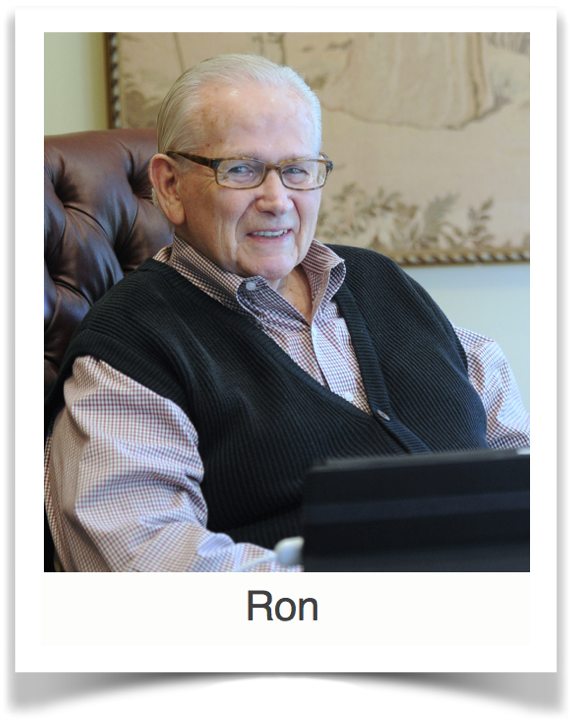 Ron had suffered from chronic back pain and sciatica for over ten years. His right side was affected more than his left. His pain was so severe that he was unable to sit at work. Instead, he had to stand at a draftsman’s table in order to accomplish his workload. He consulted with an orthopedic surgeon who discovered severe degenerative scoliosis. His surgeon recommended that they monitor his degenerative process closely to determine if intervention would be necessary. At the 3-year mark, a significant progression of fifteen degrees occurred and Ron’s spinal nerves were getting pinched at every point of curvature throughout his back. His doctor recommended realignment and stabilization surgery to all affected vertebrae in his back. Unfortunately, this included his entire spine. Ron had also been recently diagnosed with Parkinson’s disease. Ron was very fortunate that his orthopedic surgeon had experience with many Parkinson’s patients who had required spinal fusions. He had collaborated closely with the Neurology department at his hospital center to treat these patients with a team approach. At 71 years of age, Ron underwent comprehensive spinal realignment from his second vertebra in his neck all the way down through his entire spinal column, including his sacrum and coccyx — both of which also had to be reconstructed. Following this monumental 9-hour surgical procedure, Ron stayed in the hospital for several days and then was transferred to a sub-acute facility associated with the hospital for early rehabilitation. He received both occupational as well as physical therapy instructions and was discharged to home following two weeks. Home health physical therapy services followed. When he was independently ambulating and strong enough to graduate to outpatient physical therapy, his home health physical therapist strongly recommended he receive his therapy at Blaser Physical Therapy due to its unsurpassed reputation in the local area. Ron had not been a big believer in physical therapy, but his doctor encouraged him to go to outpatient rehabilitation for further improvement. Ron followed his doctor’s recommendation and sought out services at Blaser Physical Therapy. He was immediately given a comprehensive rehabilitation program to address his weakness, poor gait, and poor balance and transfer abilities. Due to the extensive nature of Ron’s limitations, he continued with physical therapy for several months. He continued to improve slowly. His Parkinson’s was a constant challenge throughout the planning and execution of his rehabilitation. Ron remembers the constant encouragement from both his doctor and his physical therapist. His physical therapist at Blaser Physical Therapy was undeterred by the compounded challenges and continued to modify his rehabilitation program to address both symptoms and deficiencies left from his spinal diagnosis as well as his Parkinson’s disease. Ron believes that physical therapy got him back on his feet after his extensive spinal surgery. Additionally, the physical therapy he received at Blaser Physical Therapy has helped him to continue managing his ongoing Parkinson’s movement and balance challenges. His physical therapist at Blaser Physical Therapy constantly encouraged him to continue with his exercises to maximize his functional independence long after his discharge from his formal rehabilitation. Ron continues to travel into Northern Virginia to work at his company of 38 years and attends his grandchildren’s sporting events as their most avid fan!